The Collaboratory brings Jewish organizations together to invest in social action and American Jewry . 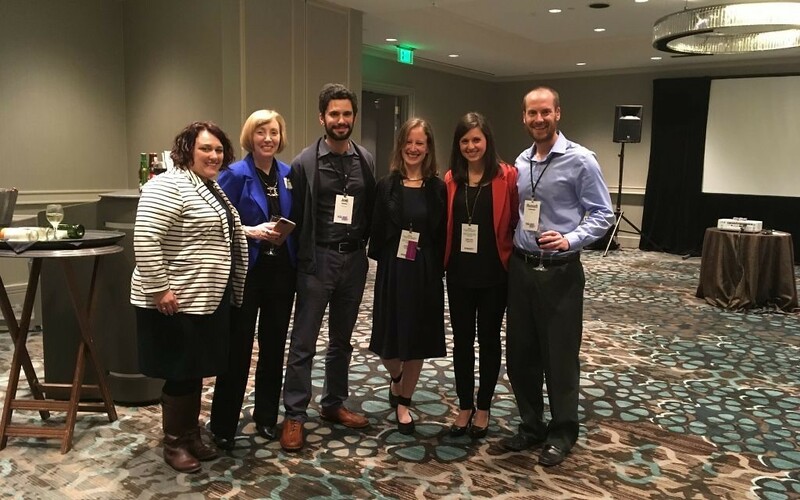 Representatives of SOJOURN, JScreen, Moishe House, Jewish Kids Groups, OneTable and the Atlanta Jewish Music Festival relax after making their pitches to the post-Collaboratory pop-up giving circle March 22. The Collaboratory is the least known and hardest to explain of the recent rush of national Jewish organizations meeting in Atlanta, but it might be the most important for the future of American Jewry. The Collaboratory is where Jewish social entrepreneurs show great ideas about how to enhance Jewish life by meeting the needs of a new generation. It’s where people who care enough about the Jewish community to devote their professional lives to it offer their prescriptions to treat what ails us. And it’s where they build the networks that will support and sustain them in the decades to come as they become our next communal leaders. I got to learn about only a few of the innovative, next-generation organizations working in pockets of the Jewish community across the country over roughly 27 hours Tuesday and Wednesday, March 21 and 22. But from the growth of the work of chevra kadisha (burial societies) to the suicide-preventing support for Jews who leave the ultra-Orthodox community, from Persian Jews in Los Angeles to Jewish collegians studying abroad around the world, from an artists’ retreat in New York to an urban farm outside Chicago, Jews are launching and sustaining creative responses to specific needs across the country and around the world. Gatherings such as The Collaboratory facilitate the spread and reinforcement of the good ideas and provide a forum for lessons learned about what can go wrong. They also offer reassurance to innovators devoted to specific solutions to specific problems in an era when focused, streamlined efforts not only can succeed, but are the preferable approach. There was a time when the Jewish community needed an organization such as Federation to be everything to all people, collecting donations and delivering services. Now, perhaps, while Federation continues to provide core support for foundational institutions such as day schools and summer camps, its increasingly important role is to identify community issues, incubate innovators responding to those problems and connect them to sustainable resources. Under new CEO Eric Robbins, Federation may be headed in that direction. It’s no accident that Federation employees, including Robbins, were easy to find at the conference. It also was no accident that the fifth annual Collaboratory was held at the Grand Hyatt Buckhead, the same hotel as the Jewish Funders Network, and began immediately after that conference of big Jewish philanthropists ended. Inevitably, ideas need money. A key post-Collaboratory event was a pop-up giving circle, during which all participants got a taste of what it’s like to be a philanthropist, assess your own charitable principles (local vs. global, Jewish vs. secular) and apply them to sort out which of many worthwhile causes to support. 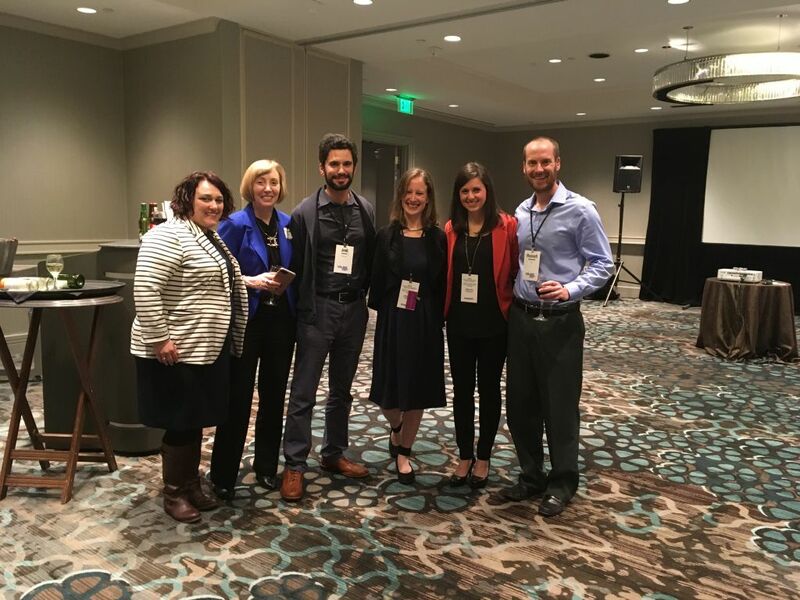 This giving circle event, organized by Amplifier and Slingshot, emphasized how innovative Jewish Atlanta is. Six organizations based or operating in Atlanta made pitches: the Atlanta Jewish Music Festival, Jewish Kids Groups, JScreen, SOJOURN, OneTable and Moishe House. Each of eight tables had $700 to donate, thanks to an anonymous philanthropist, and each had its own debate about which group should get the money. My table made its donation to JScreen. The music festival, OneTable and Jewish Kids Groups each won one table. Four tables chose SOJOURN, viewing its LGBTQ support programs as life-or-death measures. Only Moishe House walked away without a donation. The important thing isn’t that SOJOURN has an extra $2,800; it’s what comes next. All the energy and excitement of the conference won’t mean anything if the innovators and funders alike don’t apply their new lessons and new connections to change the Jewish world, one creative solution at a time.